M.F.K. 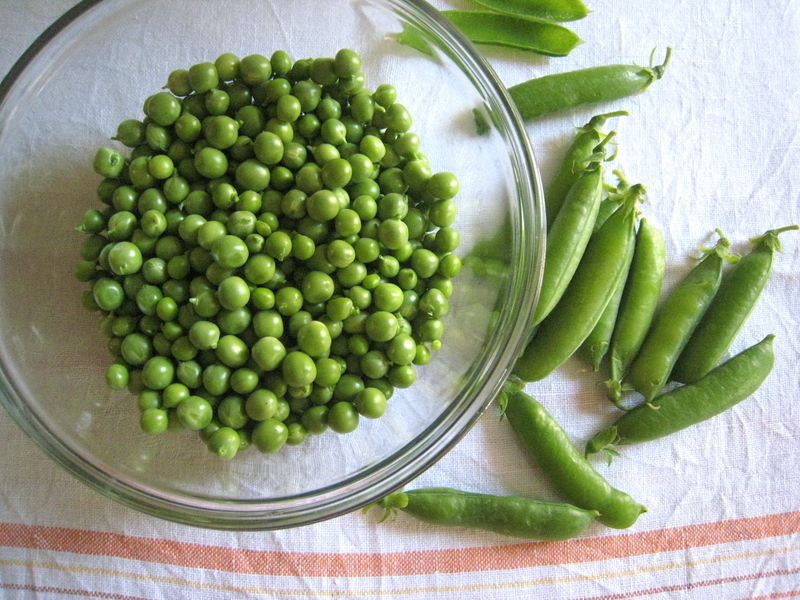 Fisher, in An Alphabet for Gourmets, wrote in the chapter “P is for Peas” about her recollection of the best peas she ever ate in her life, plucked from her garden in Switzerland and whisked out of their shells and into a pot of boiling salted water for a matter of mere seconds before being consumed in the open air with her family. It is a beautiful piece, written in her unique sybaritic way that captures the pleasure of a moment that can only be experienced by someone who grows things to eat. And if fortune smiles and you have a big enough pea patch, or your neighbor gardener hands you a sackful, you rush them into the kitchen like Ms. Fisher did, shell them and blanch them for a second, add a little salt and butter and eat them up. Don’t wait. The moment doesn’t last long.